Hi everyone! 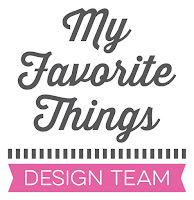 Today I’m back with a card using stamps from the My Favorite Things September release! For this project, I created a little scene! I made the background using the English Brick Wall stencil that I sponged with MFT dye inks: Hot Fudge, Orange Fizz, Kraft and In the Buff. The window is from the Pure Innocence Can’t wait to see you set (I cut out the girl and used only the window). 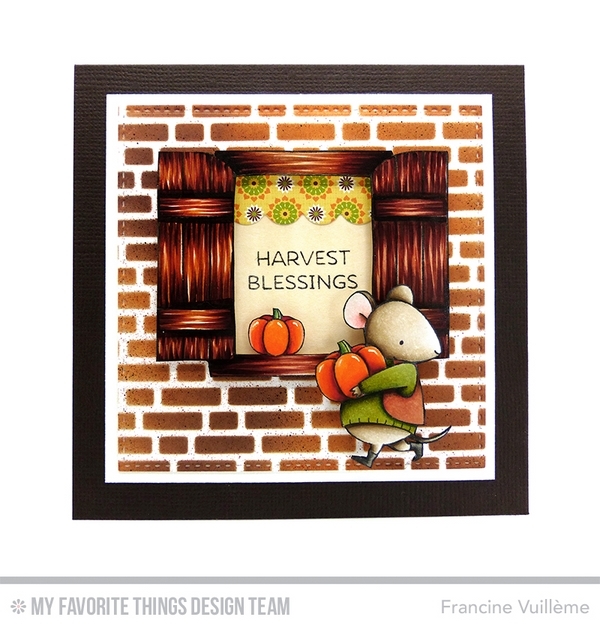 The CUTE mouse is from the newest Birdie Brown Harvest Mouse set. I colored the window and the mouse with Copic markers. Your coloring is astonishingly beautiful. The images come to live with such detail and highlighting. Merci.